So, François and I are organizing monthly Blender workshops at Constant Variable where we play around with python code and the Blender Game Engine (BGE). The point of these meetings is to get together and exchange ideas and experience around the use of code and 3D realtime rendering with open source software. Last meeting was this friday and here’s a quick explanation of what was achieved. François came with a little .blend file he set up with a cube rotating randomly. We looked through the code, studied it and improved it by making it shorter and easier to duplicate. The file is available on our shared github repository and is called bge_cube_animation. The cube can be duplicated without changing the code so that all cubes will perform their own random animation. The next project was to get the BGE to send and receive OSC messages. We looked through different python OSC libraries and studied the great example provided by Labomedia. We didn’t start studying OSC by chance. It’s a well known protocol for exchanging data between realtime visual or audio programs but it’s also what comes out of Melon (a kinect based controller) that François has been working on at Numediart. To get it all working together, the pyOSC library had to be updated a little to handle OSC messages that were not yet implemented. The new version of the code is available on my gitorious fork (pyOSC v0.3.7), waiting to be merged with the official one. Next meeting will be in a month or so and announced on Constant and Blender Brussels Meetup websites. Feel free to join us. 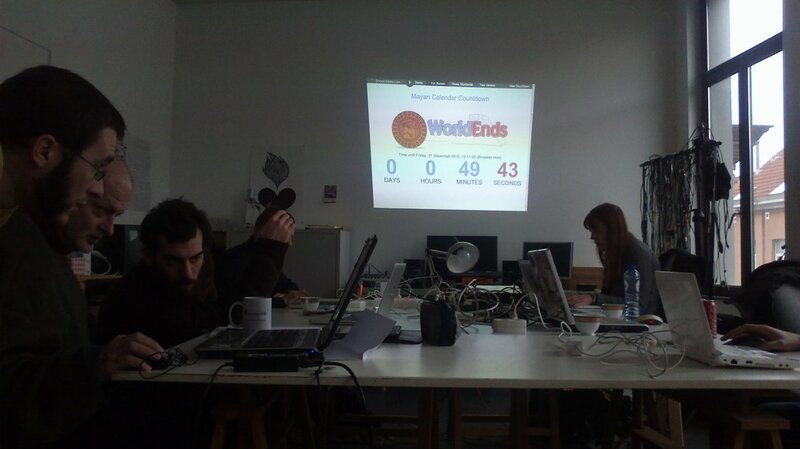 So we had our second Blender Brussels workshop today. The first one happened about a month ago. 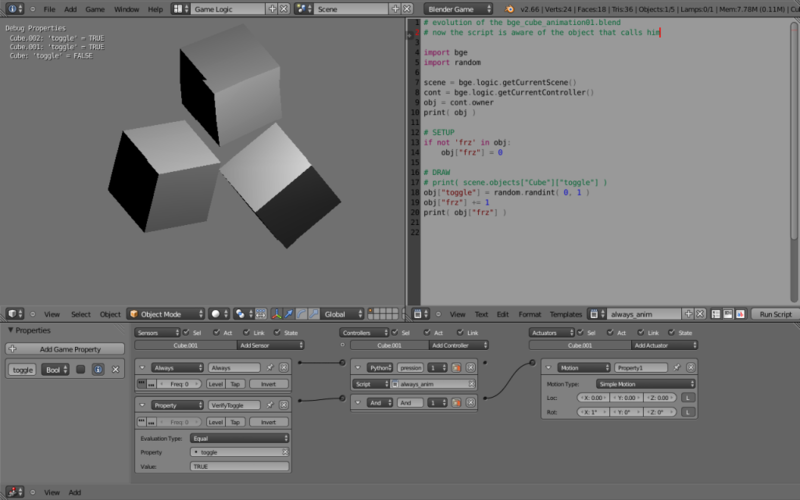 This time, we spent the day at Constant Variable and talked about the basics of python and its use within Blender. 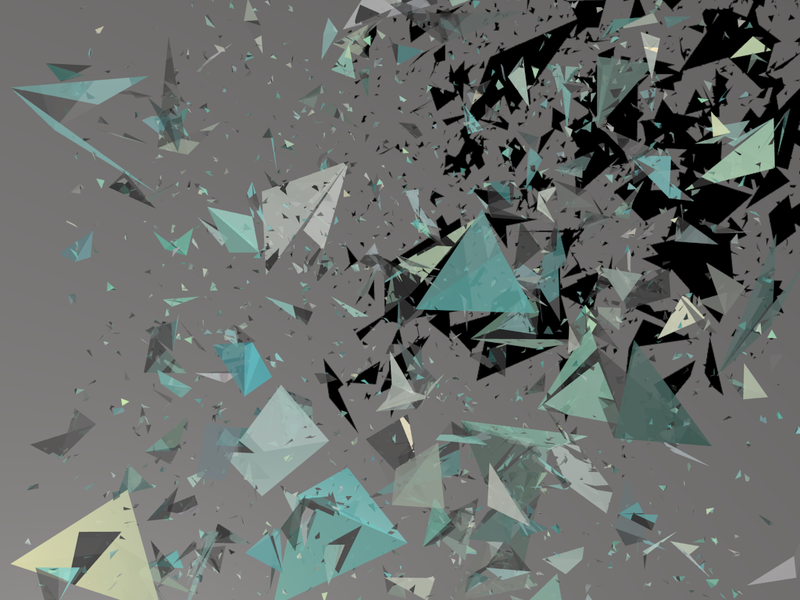 We worked on scripts to generate random meshes and then manipulate them in the game engine. Here’s a short video of what the output might look like. If you want to play with the file, download it here. You’re also welcome to join us on the next round, in january 2013. The exact date will be announced later. M’a fait pensé à “l’Him” ( à voir sur http://poegraphie.net/ ).